I wanna take a minute just sittin right here to tell all of you about the super-fine contest that we have going on at the moment in partnership with ViewBug.com. It’s called the “Puddle Reflections Photo Contest,” and anyone can enter. This means YOU. That’s right…you sitting there…reading this right now. You. Just head to Photodoto’s “Puddle Reflections Photo Contest” on ViewBug.com, click the “submit photos” button above the fold, and presto! You are entered into this sweet contest! Think you have the best puddle-reflections photo in the history of photography? Then don’t be shy. Enter our contest today in order to be eligible for a slew of can’t-be-beat prizes. So, you see, you get double the chance of winning the same, great prize. 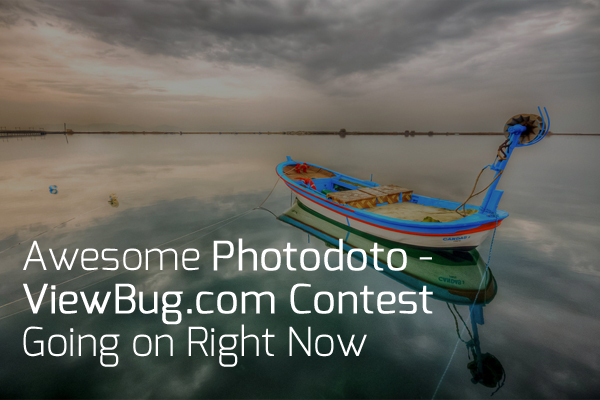 And, yes, you did read that right: The winner of the contest will be featured on Photodoto and ViewBug.com! That’s a whole lot of exposure to hundreds of thousands of readers! You can’t beat that if you’re a budding, amateur or even pro photographer who’s looking to put your name out there to the world! So don’t delay. Yeah, the contest runs for a little while, but why wait for something as good as this? Get your entry in early. ViewBug.com photo contests are judged by some of the most expert photographers in the world. A snapshot of just some of the names looking at your submitted photos includes Scott Kelby (NAPP President), Nicole Young (food photographer) and Jay Patel (landscape photographer).